It amazes me how fast time is speeding by!! I made this card this weekend. 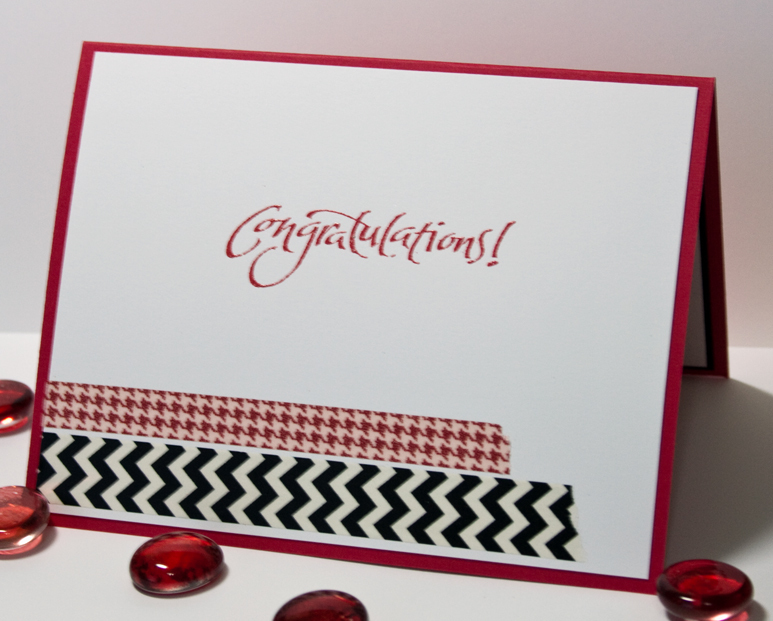 My husband asked me to make a card for one of the guys in the office that just got promoted. I asked him what he wanted on it and he said that the guy had just got a new bike. 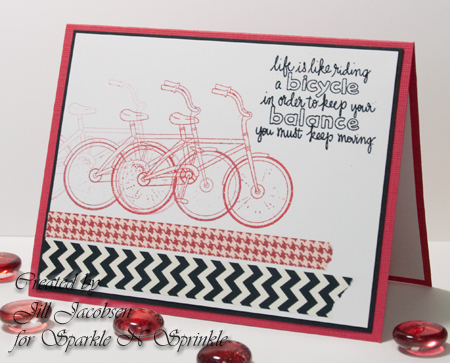 So I immediately thought of the new Bicycle stamp set from Sparkle N Sprinkle. The sentiment I think is great for a promotion card...as he "Moves" up the corporate ladder. I used the Cayenne embossing powder for the first bike, then generation stamped the other three in Rhubarb Stalk Memento ink. The sentiment is embossed with Black Detail. 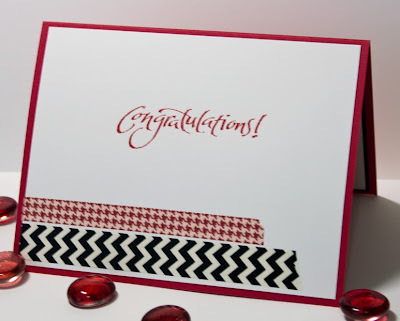 for the inside I just copied the washi tape and used the Congrats stamp from the Graduation stamp set and embossed it also with the Cayenne EP.